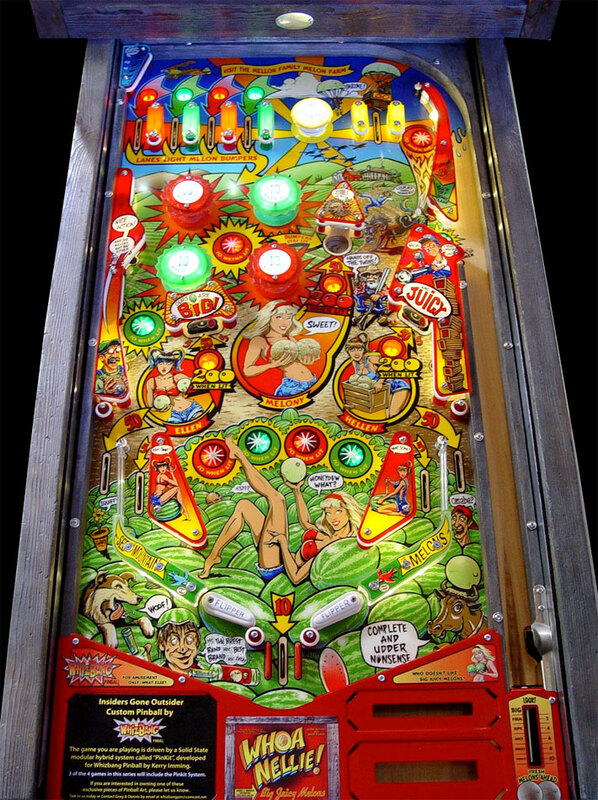 Pinball machines have traditionally been ‘closed-box’ devices. You play a game, get a great score, but then what? The details are trapped inside the machine’s memory, and if your score isn’t one of the top few, all trace of it is lost the moment the start button is pressed again. You could take a picture of the display or post a message on social media, but it’s a cumbersome manual process. Just as with tournaments, where someone has to read the score and manually enter it into another device (without making any mistakes) so it can be processed by the tournament software. Why, you might wonder, can’t scores, achievements, audits and even faults all be read automatically? An electronic pinball is a computer, after all, with the information all stored in memory. So, couldn’t these details be extracted so that tournament scores can be automatically recorded and progress to the next round calculated, high scores routinely uploaded to a central server, and operators immediately alerted to faults on their machines? Unfortunately though, digging around in the game’s memory while it is running the game code is likely to be fraught at best, as you try to second-guess where various pieces of information are stored. Fortunately though, all that information is available in a different form – on the display. If you could machine-read that display data, you could get all the information you need. Well, Spanish company Allplay has developed a hardware-based system to do exactly that. It reads the score, audit and diagnostic information from machine’s display and uses it to track scores, run tournaments and give operators remote information about their machines. It also makes this information available on a second display, and adds a webcam so players in different locations can play simultaneously against each other. The system is called Pinball House and it was recently demonstrated at the TMAP tournament in Madrid. Taking advantage of the launch of the new Stern machine, Kiss we will look back and remember some music-themed pinball. We are going to move through all the eras and we will remember mythical bands from the history of music. Some of these models will have been great successes of criticism and others not so much but we believe that there should be variety. 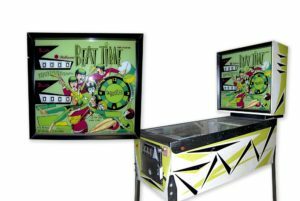 This group has two machines dedicated to them, the first one a Bally machine from 1975 coinciding with the film of the album Tommy and another Data East from 1994 to promote the musical Tommy. This machine was born in 1966 with the name of The Bootles waiting for the license to become official, and in 1967 it appeared with the name The Beatles and with many more aspects related to the group. The new Stern machine Whoa Nellie! 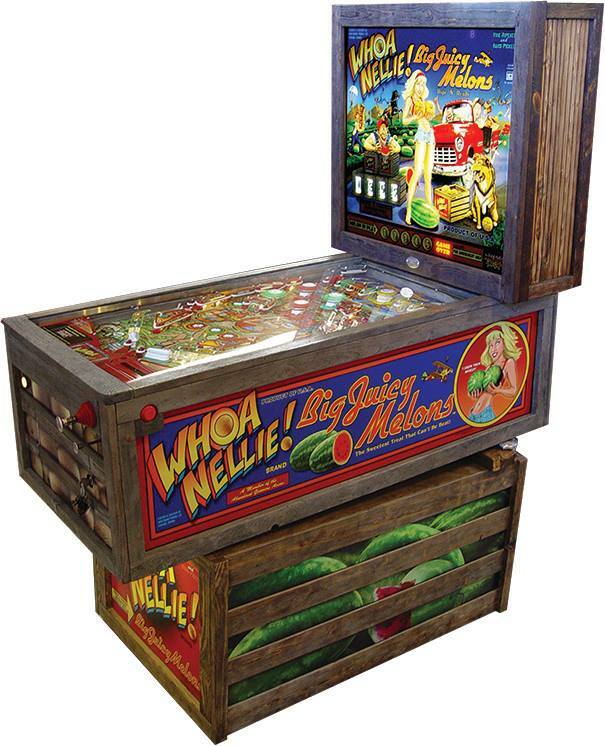 Big Juicy Melons is bringing enough controversy among passionate people to the world of pinball. As we can see from the available images, it can be said that it is a return to the past. The pinball does not include ramps or mods characteristic, as if they do the current pinball, what the modern pinball player squeaked a bit.